We’ve not seen a summer like this for decades; us Brits are used to a few brief bursts of sunshine and a snatched moment in a pub garden, not weeks on end of relentless warm weather. I’m so used to getting minimal use out of my seasonal wardrobe that it’s seldom been updated in the last few years, clothes being packed away with the labels still attached or not having been pulled from the closet even once, but this year I’ve actually started to run out. I’ve been adding to my wardrobe just so I don’t have the same few dresses on repeat, so used I am to pairing jeans and a tee with a kaftan and calling it summer. Don’t get me wrong, I’m thoroughly enjoying the fact I don’t need to bother with a jacket or worry about popping an umbrella in my bag alongside a pair of sunglasses (how much does that sum up a usual British summertime?!) 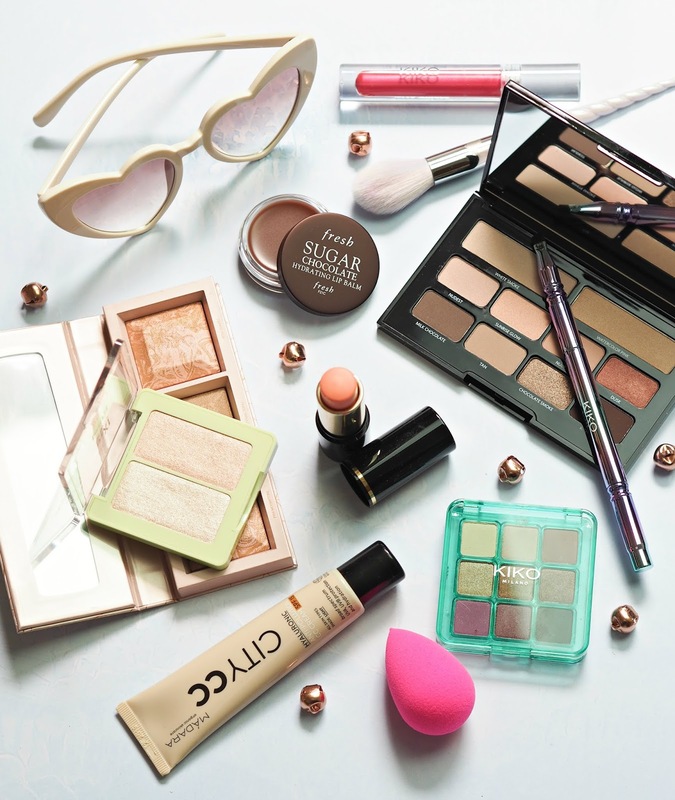 but with the heat comes a multitude of issues: chub rub, sweat patches and melting makeup to name a few. 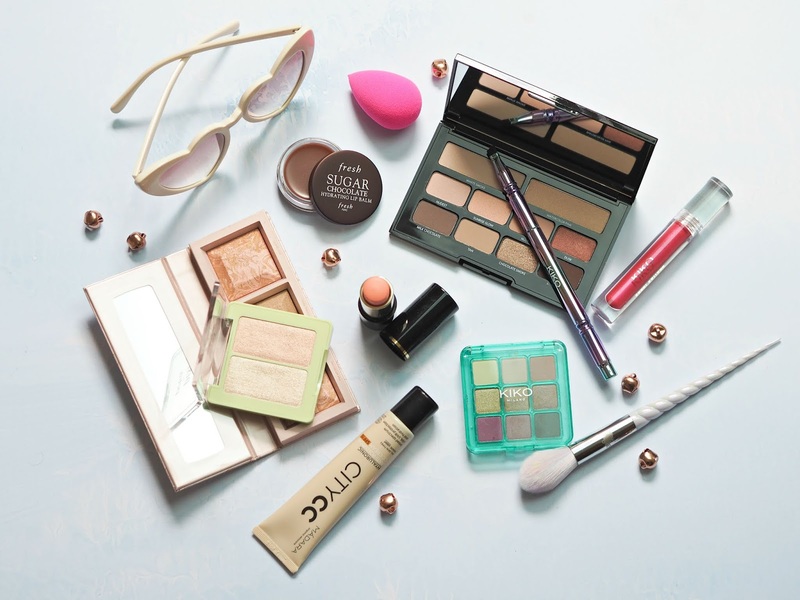 So as the summer continues and there’s so sign of let up, here are some simple tips to keep you looking fresh faced even when it’s sweltering – so at least it’s one thing you don’t have to worry about. I used to use a primer religiously under my makeup daily, but in the last couple of years I’ve fallen out of love with it as I’ve spent more time layering up my skincare instead; however, during the summer months it can be an absolute life saver by helping to create a barrier between makeup and skin. The silky texture helps to prevent slipping, creasing and generally sweating off, so is a great pre-base step even if you’re minimising your overall look. Opting for one with added SPF will give you bonus points for multi-tasking and effectiveness too! One of the biggest causes of makeup movement is the oil within many base products; these can be great in terms of offering hydration and a silky texture, but in the heat they mess with your foundation and cause it to sweat right off. Make sure your skincare products are as light as possible, plus check your foundation’s ingredient list to ensure it’s oil-free; it will keep it in place for so much longer and help you to resist the heat. It can be tempting to layer up and create a look that’s flawless, but if you want it to last for longer the priority should be using only what’s absolutely necessary. Keep your base light; if you can get away with just a touch of concealer where you need it, even better. Don’t even attempt to contour or buff in three different eyeshadow shades, instead revealing as much of your beautiful natural skin as you can. 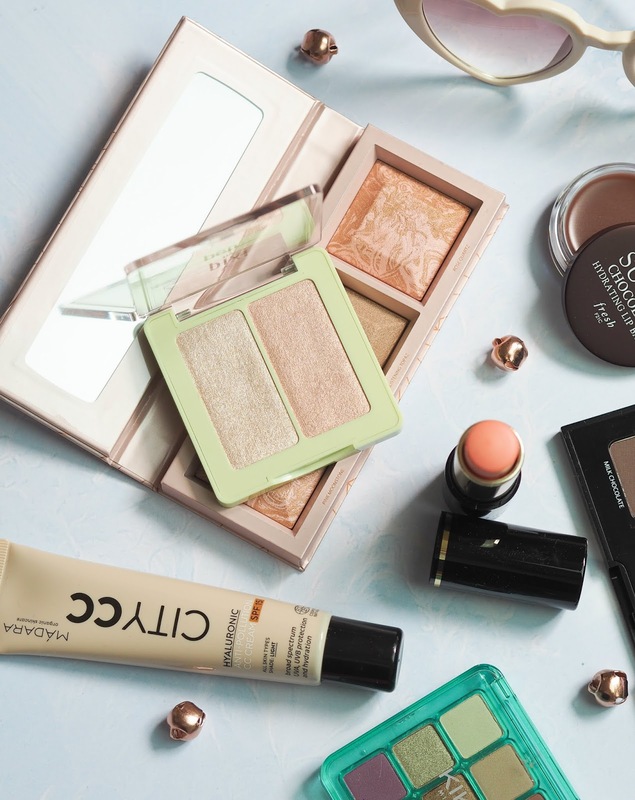 It’ll look healthier, fresher and reduce the movement potential – plus a dusting of bronzer will give skin an effortless glow. Although waterproof makeup shouldn’t be worn every day (it’s much trickier to get off and can leave eyes sensitive,) it’s a dream come these warmer moments when you’d do anything just to keep everything in place. Waterproof mascara is an obvious choice, but increasingly brands are launching products that have been designed to stay put even at the gym – foundations, powders, concealers, lip colour and even blushers now offer longevity we once could only dream of. As this weather shows no signs of waning, it may be worth investing in a few essentials you can rely on. Translucent powder may have a certain reputation, but it’s really not reserved just for old ladies and creating a super matte finish; it’s a great way of setting your makeup and locking product in place, without creating a heavy or cakey result. I love it as a final step as I know it’s sure to keep my t-zone in check for longer, plus dusted over eyes and lips it can set colour in place without dulling down the result. I always carry a little to tackle that t-zone shine and help to re-set my base in place. One of those steps a pro would never be without, a setting spray can help lock in your products and ensure there’s minimal slippage throughout the day; if you get a great one you can also spritz it on to refresh your look once it’s starting to look a bit tired, cooling you down in the process too. Blotting papers also provide a really simple but effective way of refreshing your face, removing excess oil and moisture without touching the makeup beneath – popping some in your bag could save embarrassment or the need to start from scratch when you really just want to head to the pub as soon as it hits 5pm. 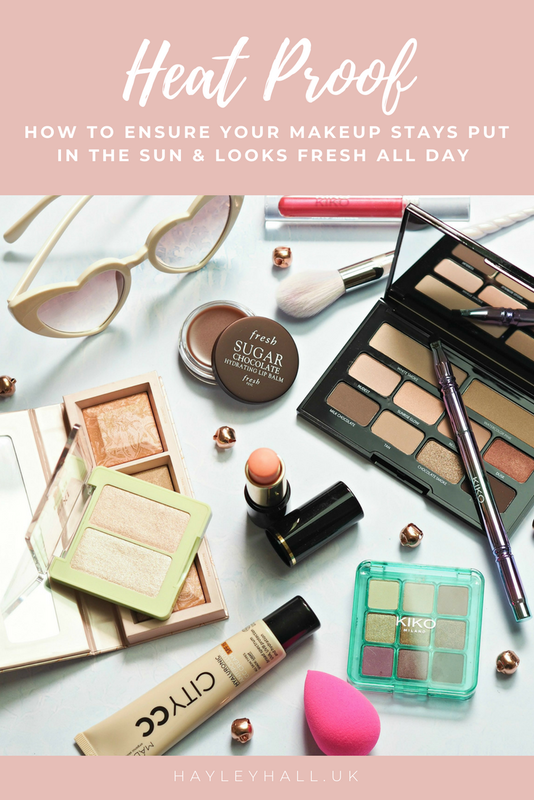 Regardless of the beauty issues it causes, here’s hoping the heat sticks around for the weeks and months to come… And this summer isn’t just a blip. Wouldn’t it be fabulous if we could get as much sunshine at home than abroad?! These are fantastic tips. Blotting papers are definitely something I will have to look into! It's funny, but I do a lot of these already!Primer, yes, but not everyday. Light layers and de-layering too, that's all year round. And misting my face to fix everything – stops it looking too powdery if I have used a face powder (which I don't most days)! Oh, and that old classic – lipcote! Good to know I'm doing something's right!